have access to activities and community resources which had previously been out of their reach. make a significant difference to a young person and a contribution to the community. see the addition to service provision to children and families. 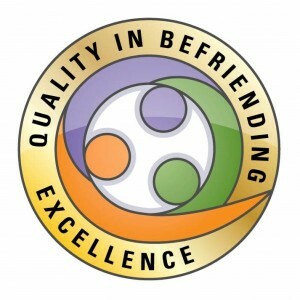 It is also the experience of YPBS (over a number of years) that participants in befriending have fun! Young Persons Befriending Service is supported by Glasgow City Council, Glasgow Community Planning Partnership, the Big Lottery Fund and BBC Children in Need. The service was amongst the first in Scotland to be awarded Approved Provider Standard — a national benchmark from the Mentoring and Befriending Foundation. Young people who are having difficulties, whether that is because of unusual pressures in the family or at school, can be matched with a volunteer befriender who will spend 2–3 hours a week with them, sharing activities and building a relationship which gives support and opportunities to have fun. Anyone can refer a young person to YPBS but Volunteer Glasgow would expect a referrer to have discussed the referral with the young person and their parent/guardian beforehand. A Support Worker from YPBS will visit you and give you information about the service and find out about your child so that we can match them with the most suitable volunteer. All the volunteers have completed training with Volunteer Glasgow and have been carefully vetted. Once your child has been matched with a volunteer befriender they would spend time together once a week – some matches meet at the same time each week and others arrange visits from week to week. Your Support Worker will visit every 2 or 3 months to talk over how the match is going, how your child is benefitting from the service and to check that there are no problems. “It’s made a big difference – having someone who takes him out to badminton and football. He loves sport but without his befriender he wouldn’t go by himself. I was worried he’d get into trouble before – a lot of kids just hang around – but he’s not interested.” — Parent of boy aged 14. “I didn’t know how it would work – she’s not confident about people she doesn’t know but at first visits were short and now she can’t wait for her befriender to come.” — Parent of girl aged 9. “It’s good – she listens to me and lets me know the things I want to talk about are important.” — Young person aged 13. Do you know a young person you would like to refer? The Young Persons Befriending Service operates an open referral system so that the support which befriending offers is readily accessible to the most vulnerable. We will do our best to remove any barriers for a referral whether that’s about adapting procedures or materials so please let us know how we can help. It is important to discuss the Service with the young person and their parents/carers before making the referral. Support staff will gather as much information as possible about the young person, their circumstances, abilities and interests so that the Service can identify the most suitable volunteer befriender for each individual young person. The emphasis on the best match for each young person means that waiting times for young people are not the primary factor in the matching process. Befriending provides an addition to services for children and families so support staff will maintain contact with referring agencies throughout a match so that the service can respond to changing circumstances or simply be informed about what’s going on for the young person. It is important for referrers and others to let us know about any change in circumstances for a young person so that we are sure that befriending is the right service for them and that we can identify the best befriender for each young person. Support staff will be happy to update referrers on a befriending match on a regular basis and attend reviews or planning meetings so that befriending can complement other service provision.